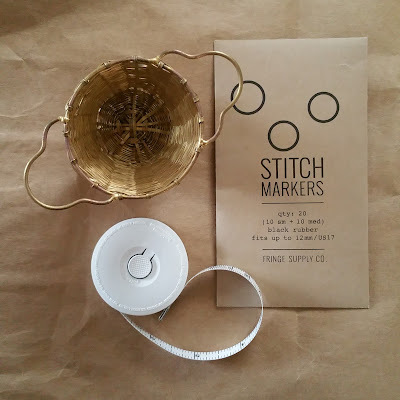 I bought a few little treasures at Purl Soho yesterday: a packet of Fringe Supply Co. knitting stitch markers, one little metal measuring tape made in Germany, and finally, a Bellocq copper tea strainer. That tea strainer. :) I know what I want for my birthday! Thank you so much for making the trip to Purl Soho happen!